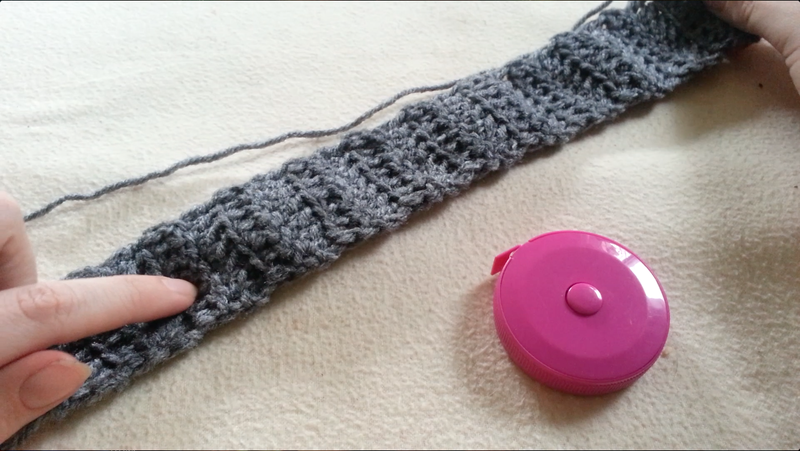 Pattern for a classic looking crochet boot cuff. I wanted to keep things simple for my first crochet boot cuff design. Although very simple I LOVE the looks of these cuffs. I think it would look great to add buttons to the ribbed section for an added detail! Row 1: sc in 2nd chain from hook & all the way down (7 st) Ch 1 & turn. Row 2: dc in ea st (front loop only) ch 1 & turn. pull through & sew in ends. 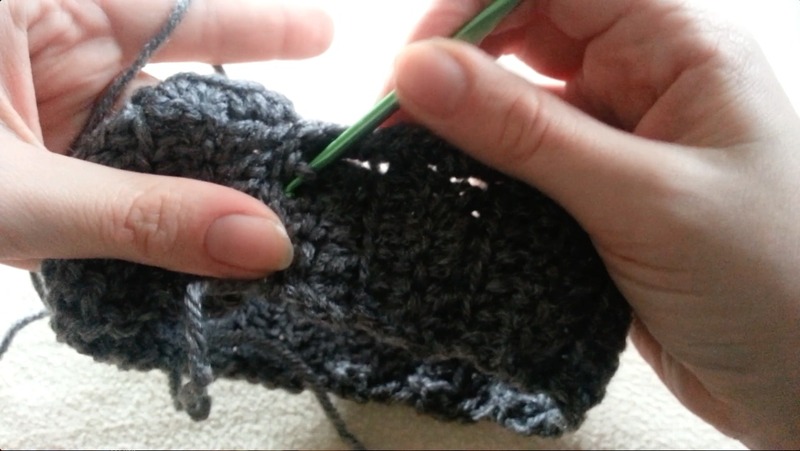 Pattern Notes: Crocheting through the front loops only will allow your work to flex and fit over your legs. 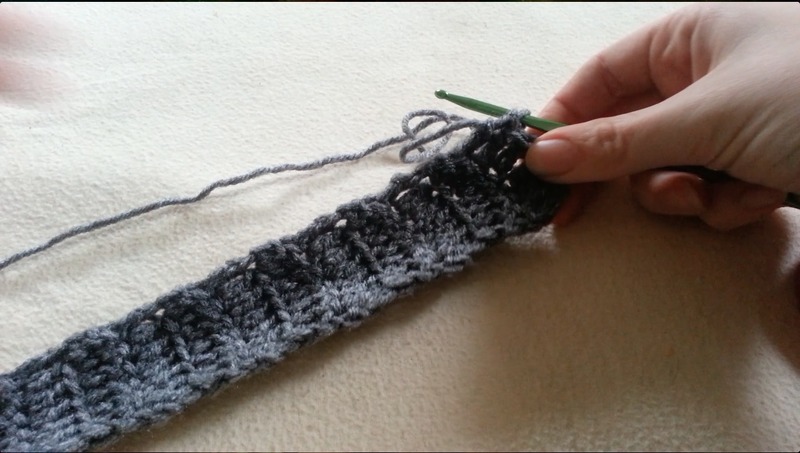 Be sure to measure the ribbed section before moving to next steps so that your cuffs will be the right measure. 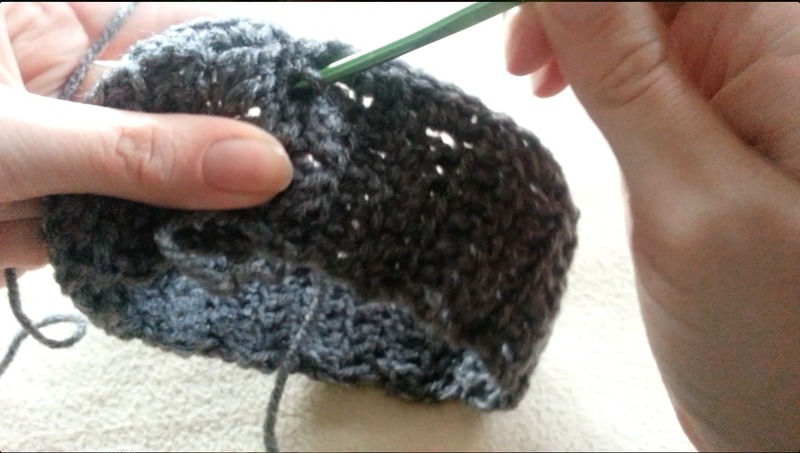 The ribbed section can be worked in a single crochet instead of double. This pattern can easily be created with a different size hook, as long as you adjust and measure as you go. 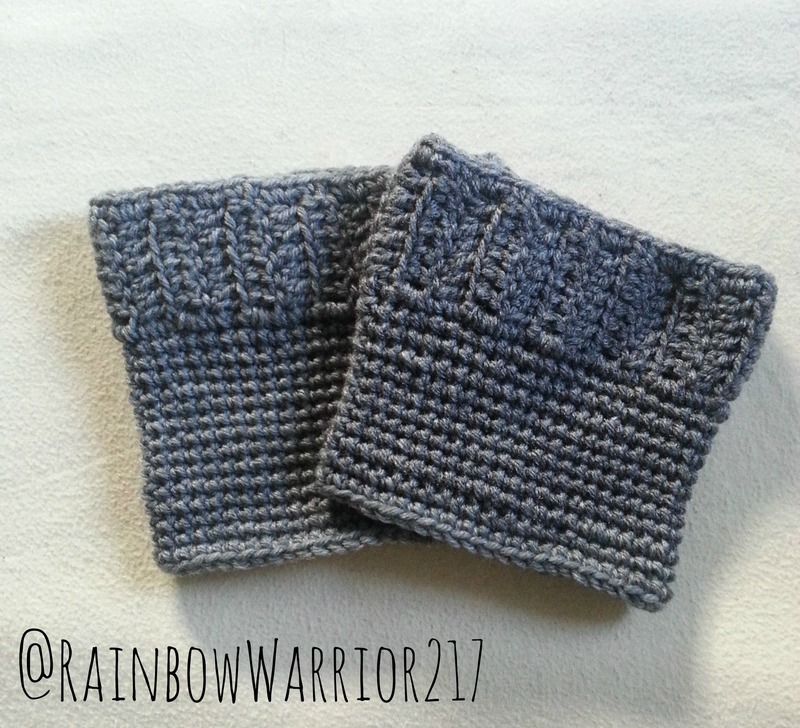 Ribbed and single crochet sections can be made as long as needed and this boot cuff can be worn with either side facing up. Add buttons at closure for an added detail. I am not the best with writing crochet patterns! To get a better idea of the directions watch my video tutorial! Check material & gauge information to get your perfect measurements! Remember crochet will be different for everyone (different tensions etc) but it is very adaptable!!!! I have more crochet boot cuff designs to come as well as a classic knit design to go along with this one! Let me know if you have any questions or suggestions! Posted in Crochet PatternsTagged boot cuffs, crochet, crochet patternBookmark the permalink.